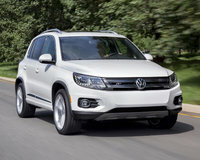 2014 Volkswagen Tiguan How our users rated the 2014 Volkswagen Tiguan. Based on 2,174 user rankings. Driven or own this vehicle? Rank this vehicle to share your opinion. 2014 Subaru XV Crosstrek How our users rated the 2014 Subaru XV Crosstrek. Based on 1,348 user rankings. Driven or own this vehicle? Rank this vehicle to share your opinion. 2014 Subaru Forester How our users rated the 2014 Subaru Forester. Based on 1,295 user rankings. Driven or own this vehicle? Rank this vehicle to share your opinion. 2014 MINI Countryman How our users rated the 2014 MINI Countryman. Based on 1,999 user rankings. Driven or own this vehicle? Rank this vehicle to share your opinion. 2014 Mazda CX-5 How our users rated the 2014 Mazda CX-5. Based on 1,180 user rankings. Driven or own this vehicle? Rank this vehicle to share your opinion. 2014 Mitsubishi Outlander Sport How our users rated the 2014 Mitsubishi Outlander Sport. Based on 2,030 user rankings. Driven or own this vehicle? Rank this vehicle to share your opinion. 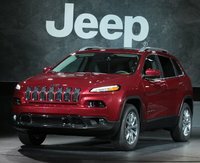 2014 Jeep Cherokee How our users rated the 2014 Jeep Cherokee. Based on 1,352 user rankings. Driven or own this vehicle? Rank this vehicle to share your opinion. 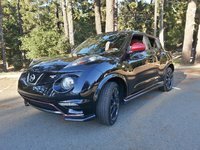 2014 Nissan Juke How our users rated the 2014 Nissan Juke. Based on 2,419 user rankings. Driven or own this vehicle? Rank this vehicle to share your opinion. 2014 Hyundai Tucson How our users rated the 2014 Hyundai Tucson. Based on 1,390 user rankings. Driven or own this vehicle? Rank this vehicle to share your opinion. 2014 Jeep Patriot How our users rated the 2014 Jeep Patriot. Based on 2,062 user rankings. Driven or own this vehicle? Rank this vehicle to share your opinion. 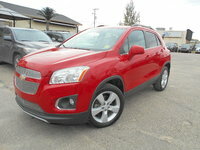 2014 Buick Encore How our users rated the 2014 Buick Encore. Based on 1,704 user rankings. Driven or own this vehicle? Rank this vehicle to share your opinion. 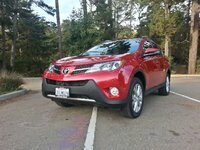 2014 Toyota RAV4 How our users rated the 2014 Toyota RAV4. Based on 1,283 user rankings. Driven or own this vehicle? Rank this vehicle to share your opinion. 2014 Kia Sportage How our users rated the 2014 Kia Sportage. Based on 1,612 user rankings. Driven or own this vehicle? Rank this vehicle to share your opinion. 2014 Jeep Compass How our users rated the 2014 Jeep Compass. Based on 1,783 user rankings. Driven or own this vehicle? Rank this vehicle to share your opinion. 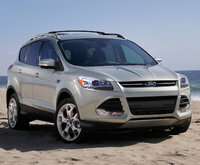 2014 Ford Escape How our users rated the 2014 Ford Escape. Based on 1,267 user rankings. Driven or own this vehicle? Rank this vehicle to share your opinion. 2014 Nissan Rogue How our users rated the 2014 Nissan Rogue. Based on 1,247 user rankings. Driven or own this vehicle? Rank this vehicle to share your opinion. 2014 Honda CR-V How our users rated the 2014 Honda CR-V.
Based on 1,262 user rankings. Driven or own this vehicle? Rank this vehicle to share your opinion. 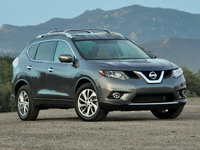 2014 Nissan Rogue Select How our users rated the 2014 Nissan Rogue Select. Based on 1,350 user rankings. Driven or own this vehicle? Rank this vehicle to share your opinion. 2014 Jeep Wrangler How our users rated the 2014 Jeep Wrangler. Based on 2,099 user rankings. Driven or own this vehicle? Rank this vehicle to share your opinion. 2014 Subaru XV Crosstrek Hybrid How our users rated the 2014 Subaru XV Crosstrek Hybrid. Based on 1,318 user rankings. Driven or own this vehicle? Rank this vehicle to share your opinion.